I am using Gimp 2.10.6. ALL of my keyboard shortcuts are disabled. Is there not somewhere to enable shortcuts? 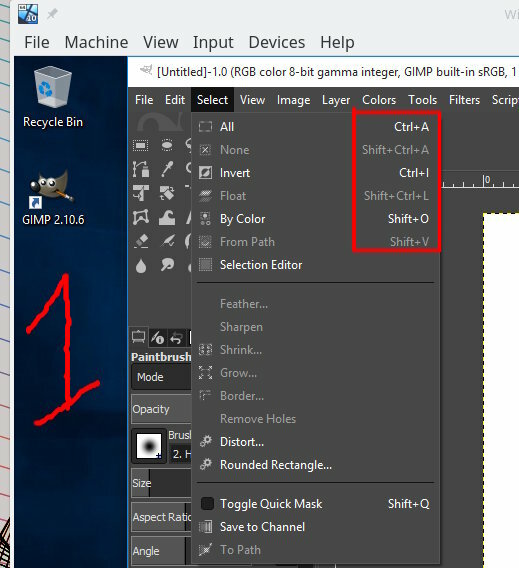 info on enabling Gimp shortcut keys. I have been using Gimp for a month now and think it's great. >I am using Gimp 2.10.6. >ALL of my keyboard shortcuts are disabled. 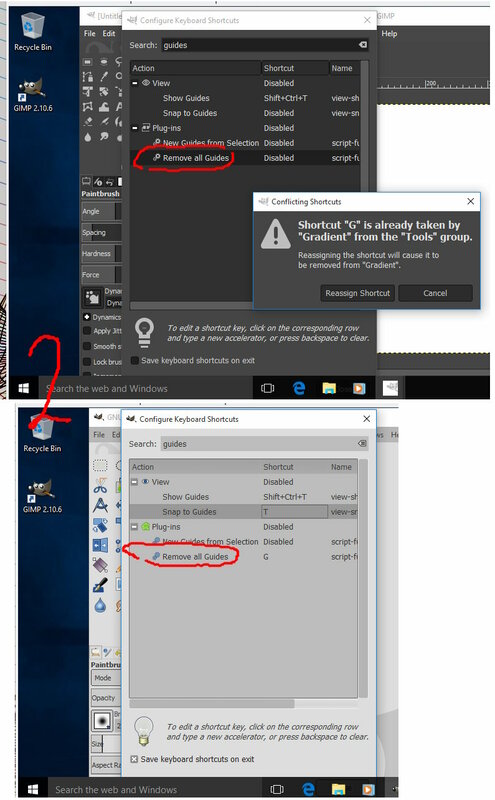 >Is there not somewhere to enable shortcuts? >info on enabling Gimp shortcut keys. >I have been using Gimp for a month now and think it's great. shortcut seems reluctant to show. the re-assign works. Very few free keys remaining. G assignment for Remove Guides.